The world we live in! : It can happen to anyone, have you got your Mammogram done yet? It can happen to anyone, have you got your Mammogram done yet? When mammograms are an effective way to detect breast cancer at an early stage, why do we avoid them? Learn why you should get yourself checked regularly. When it comes to breasts, for most of the time, our thoughts don’t seem to go beyond a fancy under-wired lace bra, or which celebrity was seen flaunting hers recently! Yet, breasts are not decorative, and breast cancer is not uncommon at all. Breast health is as important as the health of any other part of your body. 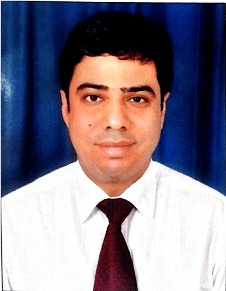 In the second interview of this series, we meet Dr. Kumar Deep Dutta, MBBS, M.D, a Delhi based Oncologist. Dr. Dutta underwent training in Medical Oncology from Tata Memorial Hospital, Mumbai and subsequently completed his DNB in Medical Oncology. He is a member of numerous scientific societies including the American Society of Clinical Oncology and European Society For Medical Oncology, and has authored several publications in peer-reviewed journals, as well as numerous abstracts. In this discussion, he talks about mammograms, how they can help in early detection – and most importantly, why we should not fear them. Are mammograms the most accurate way to detect breast cancer? Also, are they the only way to detect? Please let us know if there are any alternatives. Dr. Kumar Deep Dutta: No, mammograms are not the only way to detect breast cancer. Self-examination and clinical breast examination are very important tools – one is in early detection, and the other in between two mammograms. We actually recommend MRIs also in younger patients, as the fatty tissues are more, making the breasts dense. In such cases an MRI is preferred. Out of every 1000 women scanned for breast cancer, there is a chance that 5.7 % to 8.8 % will be detected with some malignant tissue. What is the ideal age for the first Mammogram? Dr. Kumar Deep Dutta: There is no formal recommendation here in India, thus we follow the American Medical Association’s guidelines, which recommends 40 as the benchmark age. 40 as the age of starting mammography is also recommended by the American College of Radiology and the American Cancer Society. From the age of 40 onwards, a woman definitely needs to undergo an annual Mammogram. Women who have a family History of breast cancer must take the test irrespective of their age. They could be as young as 28, but if there is a history of BRACA 1 or BRACA 2 in the family then it calls for a check up to begin with. Women with a family history of cancer should not wait for any external signs to go for a mammogram. Women who have never borne children also come under a substantial risk and should not delay Mammograms. As a doctor, what are the various barriers you have seen in people taking this particular test? Dr. Kumar Deep Dutta: Mammograms are slightly painful; but the pain is worth taking. One barrier I feel, is fear of pain, and the fear of being diagnosed. Also, there are communication barriers, as in whom to talk to, what to ask, lack of knowledge and right guidance. Most importantly, as a nation we are negligent towards our health. Often we are ignorant and don’t even bother to educate ourselves. Monetarily speaking, health insurance is availed by a very small percentage of people in our country and when such serious diseases occur, people are drained financially and emotionally too. What would you say to women who are hesitant to go for the test? How can we encourage them to get tested? Dr. Kumar Deep Dutta: All doctors vouch for early detection of cancer and a timely Mammogram or MRI can go a long way in saving lives. Also, I would reassure women, and tell them to please note – cancer does not mean a death sentence in today’s times. I would say that go for annual mammograms to take health in your hands. Timely Mammography can reduce mortality (death) by 28- 45%. Also, it is important to know that not every lump found in a mammogram is necessarily malignant. From our side, as a hospital we are increasingly conducting health awareness camps, in corporate campuses, apartment complexes, and villages too. There is every effort to educate the general population about the necessity of mammograms. In your experience, have you seen an increase in breast checkups in women over time? Dr. Kumar Deep Dutta: Yes, there is more awareness due to education, media exposure and celebrity news about recoveries. But I would like to add that close to a decade back, cardiac arrests were the most prevalent cause of mortality and today it is Cancer, among which breast cancer is on the rise. There is nothing like early detection of cancer cells in which case, a small surgery could be enough. So please do not fear Mammograms or MRIs. Doing the mammogram test or any other test doesn’t mean you will have to live with the Cancer if detected. With our advanced treatments, small surgeries could be more than sufficient. People are also scared of chemotherapy and radiation, which is why if detected early with a Mammogram, such serious medications can be avoided. Women also feel that if they take a mammogram once and it is clear, they are safe. What is your advice in this regard? What are the follow-ups to be considered after a clear mammogram? Dr. Kumar Deep Dutta: A mammogram is not a one-time affair. To study new developments in our body we must take these important tests regularly. Your first mammogram being clear doesn’t ensure a lifetime guarantee. The body changes and develops everyday. When a woman gets a mammogram and the results show a likelihood of breast cancer, what can medical professionals do to help her deal with the news? Also, what would you suggest to family members at this stage? How can they help? Dr. Kumar Deep Dutta: Women can be assured that not every suspected lump is a confirmed case of Cancer. It could be benign tissue, which is harmless and removable. But if biopsy confirms malignant growth then the case must go to a trained, experienced breast cancer specialist. Trained Specialists know how to handle sensitive diseases like breast cancer. A positive and sensitive attitude in the family and doctor will help a lot. Is a mammogram test meant for men too? What is the incidence of men with breast cancer, and what do they need to be aware of? They need to be aware of the family history of cancer and report any abnormalities or changes in the chest area too. However, for males, mammography is not done as a routine.